MFS is featured in the August edition of the Hollywood Star News in an article about re-purposed firehouses in N and NE Portland. Our NE 24th office, home of Project Linkage, occupies the historic Bungalow Fire Station 18 building. 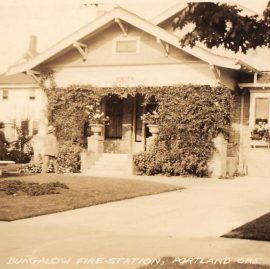 Bungalow-style buildings were designed by former Portland Fire Chief Lee Holden, and were made to blend into neighborhoods. You’ll find the piece on pages 20-21. MFS AARP Experience Corps – Now Recruiting! 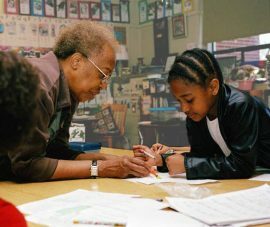 MFS is recruiting AARP Experience Corps volunteers to help K-3 students with reading and academic skills critical to educational success. 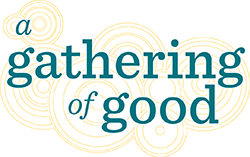 Openings for candidates 50+ at schools in NE & SE Portland, East Multnomah County and Gresham. Monthly stipends available at some sites to those serving 8-10 hours per week. Comprehensive training and support provided.